We are raising funds for Charities by holding several Fundraising Events throughout the year. What started out as trying to raise £500 between Andover Mind and Wessex Heart Beat by our MD Danny Gladwyn doing a sponsored Sleep out, has now grown into us hosting a Fundraising Dinner for upwards of 100 people to auction off items which have been pledged by the Horse Racing Fraternity. We have been astounded at the generosity of people to help us raise much needed funds and awareness. Due to much of this generosity coming from the Racing world, we have decided to split any money raised from the Fundraising Dinner between Andover Mind, Wessex Heart Beat and The Stable Lads Welfare. Please watch our website and Social Media for more information on famous guests who are attending and some of the fantastic items we will be auctioning. Venue and date of this event will be announced very soon. Charity Sleep Out in Pouring Rain! 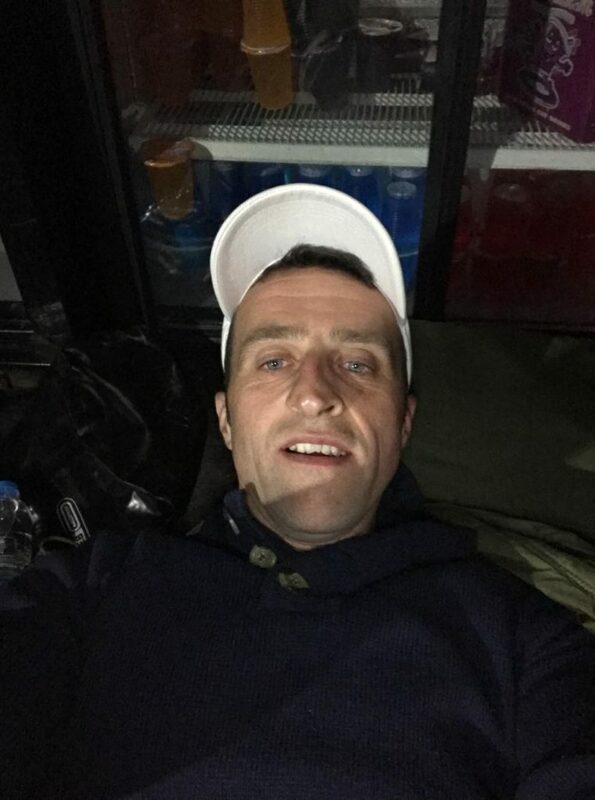 Danny Gladwyn (MD of CCS), Andy Godwin (Radian Homes) and Jingles (Staff member at CCS) braved some of the worst weather we have seen lately to sleep rough in a pub carpark to raise funds for charity. We would like to thank Shawn and Kim of The Crown Inn in Ludgershall for hosting the event and also Tesco’s in Ludgershall for their kind donation of Bacon and Rolls for the Lads breakfasts. Yesterday we carried out a 360 Close out Meeting for another Hanover property we have just finished installing new Water Heaters in. The Residents who attended were very positive and complimentary about the works carried out and wanted to compliment our Lads on being so polite, helpful and efficient whilst carrying out the works! 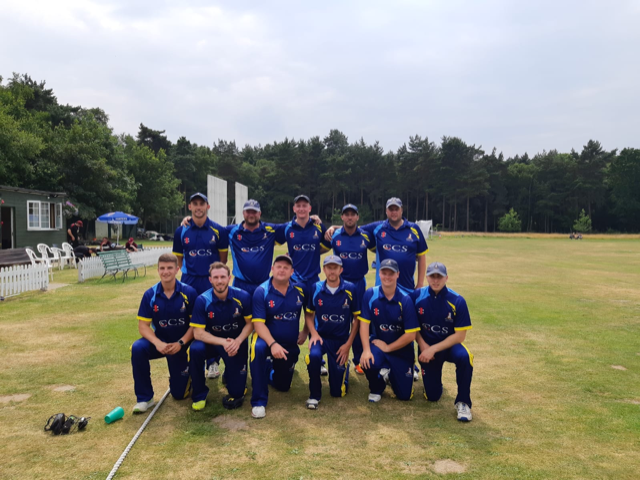 We are very proud to be the sponsors of Paultons Cricket Team who have won the Southern Premier Cricket League Plate Finals! We are sponsoring Paul Hickman in his bid to raise money for charity…..
Paul Hickman is attempting to raise money for the below charities. We are very proud to be sponsoring him and wish him every success. Jun 19 Cateran Yomp 50 mile race in 24 hours. Please come and support our Managing Director Danny Gladwyn and Andy Godwin from Radian Housing in their sleep out in the carpark of The Crown Inn Ludgershall on Saturday 22nd September. Please note that the date has now changed for our fundraising event in aid of Andover Mind and Wessex Heart Beat. The event will be held at The Crown Inn Ludgershall from 7pm on Friday 30th November. Please come and support us in raising funds for these worthy causes and bid on some wonderful items which have been pledged. CCS completed the Heating and Boiler installation works at Hanover Gardens in Bicester last week. We held a close out meeting for Residents to ask questions regarding the installs which was very well attended. CCS would like to thank the Residents for their patience whilst works were carried out. We are proud to be sponsoring David Turner who is am amateur Jockey. David rides in many amateur races across the UK as well as abroad. Please follow David’s career through our Facebook page and twitter feed. Rising Andover kickboxing star, Katie Lovell, 12, is stepping out in a smart new sports kit thanks to sponsorship from Correct Contract Services (CCS), a leading mechanical and electrical specialist in the region. The firm based in Hopkinson Way, Andover, where Katie’s mum Venus works as an accounts assistant and credit controller, has kitted out the young kickboxer and provided her with extra cash towards her club subscription with the locally based Fighting Falcons in Walworth Business Park. Katie’s ambition is to become a Black Belt kickboxer and one day represent Great Britain at the World Association of Kickboxing Organizations Junior World Kickboxing Championships in Italy. So far this year Katie has won Silver at the CIMAC European Cup and Bronze at the CIMAC World Cup competitions in High Wycombe. She also won Gold at the Grand Slam competitions in Winchester and Southampton. This summer Katie will be training for nine days in Csongrad, Hungary with 10 times Kickboxing World Champion, Zsolt Moradi, at an international summer camp for talented young kickboxers from around the world. She’ll then be competing in September at the Adidas Point Fighting Battle – a ring sports competition – in Bristol where she’ll be up against teams from across Europe. Katie, who attends South Wilts Grammar School for Girls, is also a Tae Kwando Black Belt and Tae Kwando World Championships Bronze medallist.